NOTE: This grant is only for Presbyterian Church (U.S.A.)-affiliated organizations that reside within the bounds of the Synod of the Trinity. The Synod of the Trinity’s undergraduate and graduate funding is a response to our Reformed tradition’s commitment to education and to its theology of vocation. Briefly stated, our tradition values knowledge of self, others and the world as integral to gaining knowledge of God. Thus, commitment to education lies at the core of our affirmations and efforts. Moreover, such integrated knowledge enables each of us to grasp the calling, the vocation which God invites us to embrace. 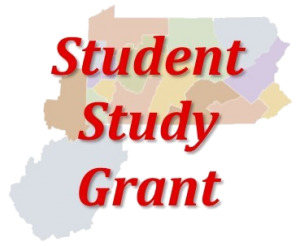 For more on the Synod’s Student Study Grant, view a downloadable pamphlet here. Note: An entity may only apply for one Synod grant per year. Please choose carefully as you consider your application. HELPFUL HINTS: Check out this quick video that explains how to download and prepare your fillable grant form, including three detailed ways to create that electronic signature that will allow for faster interaction between congregations and presbyteries. Find the video tutorial here. The Presbyterian Scholarship Fund is available for freshmen college students who reside in the western half of the Synod of the Trinity and who are planning to attend a college in that area. The opportunity is open to students in the presbyteries of Beaver-Butler, Kiskiminetas, Lake Erie, Pittsburgh, Redstone, Shenango, Upper Ohio Valley and Washington. Participating colleges include College of Wooster, Davis and Elkins, Grove City, Muskingum, Washington and Jefferson, Waynesburg and Westminster. The Presbyterian Scholarship Fund was established in 1843 to provide scholarships for Presbyterian students at seven Presbyterian-related colleges within Western Pennsylvania, Ohio and West Virginia. Board members are elected from eight presbyteries from the western half of the Synod of the Trinity to manage and develop the funds necessary to provide financial aid to qualified students. Using proceeds from current investments, the fund provides $33,600 in aid annually for 28 students. The board recently began an active campaign to secure new gifts that will enable more scholarships to be awarded. There are also opportunities available for individuals, churches and presbyteries to provide a scholarship for a student. More information is available on this flyer here. For additional information, contact Melody J. Butterfield, 1050 Lagonda Road, Washington, PA, 15301, call (724) 223-1548 or email melody.butterfield@faithupchurch.org. The PCUSA Parent Loan Program is designed to serve Presbyterian Church (U.S.A.) members seeking assistance with the expenses of dependents attending college in the United States. More information is available here. The Robert Coleman/Dr. Leroy Patrick scholarship is annually awarded to racial-ethnic undergraduate students who are recommended by their church pastor or the director of a validated mission agency of Pittsburgh Presbytery. The awards are distributed through the National Black Presbyterian Caucus (NBPC), Pittsburgh Chapter. The Presbytery of West Virginia, through its Nurture Committee, has $1,000 loans as well as grant monies that vary in amount available for those seeking a post-secondary education. You will find the application form for these loans and grants here, and a flyer to post in your church here. Please post the flyer where high school seniors and parents can see it, and forward the application to high school seniors who are continuing their education. The application deadline, including the return of references letters, is Tuesday, April 30, 2019. In addition, if you are aware of students from your congregation who will be continuing their education next year and have received loans in the past that they might like to renew, please remind them they must submit a written request, including a brief description of their past year, for their loans to be renewed; they do not have to resubmit the entire application. Their deadline is also Tuesday, April 30, 2019. The Presbytery of Shenango Scholarship Fund is supported by gifts from the congregations of the presbytery. The fund is intended to assist students who are members of the Presbyterian Church (U.S.A.). Preference will be given to applicants who belong to churches in the Presbytery of Shenango. Recipients of aid from this fund are eligible for continued assistance in successive years, but they must reapply for aid annually and continue to meet the criteria listed below. Click here to download the scholarship application. The application is also online here. 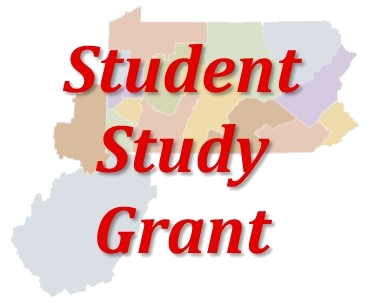 Information and an application for the Russell Scholarship can be found on the Upper Ohio Valley Presbytery’s website here. If you have questions concerning the application, call Cindy Foster at (740) 359-2750. Online applications will not be considered. Davis & Elkins College is seeking students who are interested in applying for a unique scholarship opportunity that focuses on faith, ethics, public policy, sustainability and service. This is a competitive scholarship for highly qualified and motivated individuals. Please share this information with potential students and encourage them to contact D&E’s Admission office for more information. A flyer is available here. The Young Presbyterian Scholarship, a $76,000 scholarship for PC(USA) high school seniors to attend Westminster College in New Wilmington, PA, is available. It was established in 2002 to encourage and provide an opportunity for outstanding PC(USA) students to apply to Westminster College. The scholarship of $76,000 for four years ($19,000 per year) is for qualified high school seniors entering college the fall of 2019. Every PC(USA) congregation can nominate two students every year. More than 600 deserving students have been nominated since the start of the scholarship. If you have not yet done so, don’t miss this opportunity to share a Westminster education and nominate two qualified high school senior students with a 3.5 or higher grade-point average. Scholarship requirements are: 3.5 HSGPA (cumulative), PC(USA) membership and a written nomination by pastor/congregation. Note program deadlines: pastor/congregations nominations by Dec. 15; student applications also due by Dec. 15. Nominate online here and to also download the nomination form. For assistance, contact the Rev. Jim Mohr, College Chaplain, mohrjr@westminster.edu, (724) 946-7116; or Bradley P. Tokar, Director of Admissions, tokarbp@westminster.edu, (724) 946-7109, Westminster College, 319 S. Market Street, New Wilmington, PA 16172. Information available by clicking here. JERB MILLER SCHOLARSHIP PROGRAM: Westminster College alumni who are educators have the opportunity to nominate a deserving student for 100 Jerb Miller Scholarships. Jerb Miller scholarships are four-year renewable awards valued at $76,000 (up to $19,000 per academic year) for first-year students enrolling in the Fall 2019 semester. The scholarships are created in honor of Dr. Jerb Miller, a beloved professor of education at Westminster from 1968 until his death in 1992. Find more information and a nomination form here. If you’re a Presbyterian Church (U.S.A.) student about to enter or are currently enrolled at a PCUSA-related school or secular university, Presbyterian Mission has scholarships of up to $3,000 to apply for. Deadlines in 2019 range from May 15 to June 15. For details, go to pcusa.org/financial aid and click on undergraduate opportunities. The General Assembly Presbyterian Mission Agency has enhanced the National Presbyterian College Scholarship program for 2019. This particular scholarship will increase to $2,500 beginning in the 2018‐19 academic year. A first-time, full-time, freshman student who demonstrates financial need and who enrolls in a Presbyterian-related college from your congregation is eligible to apply. The scholarship is renewable for four years, provided the recipient maintains a 2.5 GPA or above. A Transition-to-College Assistance Grant program is intended to help eligible families of entering college freshmen with transitional expenses such as a computer purchase and dorm furnishings. A one-time grant is available to qualifying plan members whose employer is under direct governance of the PC(USA), whose household’s adjusted gross income does not exceed $116,000, and whose college-bound child is a dependent enrolled in the Benefits Plan. The child must be enrolled full time at an accredited college or university. Amounts range from $500 to $1,000, depending on total family income. The deadline for the 2018-19 school year is June 30, 2019. Complete the Transition-to-College Assistance Grant Application here and return it with the required documentation to the Board at the address listed on the form. Stewardship Kaleidoscope is offering three scholarships for candidates/inquirers, first-call pastors and Small Church Residency Programs. Stewardship Kaleidoscope is a conference for Presbyterians put on by Presbyterians. The conference is sponsored by agencies and councils of the Presbyterian Church (U.S.A.) as well as by other entities that provide services to Presbyterians. For more information on these scholarships, click here. Study at the Ecumenical Institute at Bossey near Geneva, Switzerland – for FREE. If you are a seminary graduate or have two years of seminary education, and are interested in furthering the visible unity of the church, consider applying to attend a graduate level program at Bossey. Receive an ecumenical education in a multicultural environment. The church needs leaders with knowledge of other religious traditions and with a sensitivity to confessional and cultural differences. Each year the Institute welcomes a group of no more than 40 students from around the world and from many different Christian traditions. 1) Junior and senior religious studies students, graduate religious studies students and any individuals in seminary are eligible. Please note that you must plan to be enrolled in your program of study for the following fall semester to be eligible. 2)Students must be attending accredited colleges, universities or seminaries within the United States and District of Columbia. 3) Minimum cumulative grade point average of 3.25 is required. 4) Transcript and one letter of recommendation are required. Unofficial transcripts will be accepted. 5) Applicant is required to submit an essay that explains why they chose to pursue their degree and how they plan to use their education and future career in ministry. Essay should be double spaced and not exceed 350 words. 6) GuideOne employees or children of employees are not eligible. 7) GuideOne agents or children of agents are eligible. Click here to apply. More information is available here.